DIGISPEC's MousePaper® Mouse Pads GO GREEN! Las Vegas, NV (April 2008) — DIGISPEC®, the focused mouse pad manufacturer, announces that it's MousePaper® and MousePaper® Calendar mouse pads are now green. As the demand for eco-friendly products have increased, DIGISPEC® continues to add products to their product line to meet those requirements. As a paper-based product, MousePaper® has always been recyclable. Now, the pages contain 30% post-consumer recycled paper and the backing is 100% recycled paperboard of which 50% is post-consumer. "The decision to add a 'green' MousePaper® mouse pad to the product line was an obvious choice," says Ed Hamilton, President. "Our customers expect us to keep up-to-date with the most current technology and trends. The green movement is something we needed to be a part of." 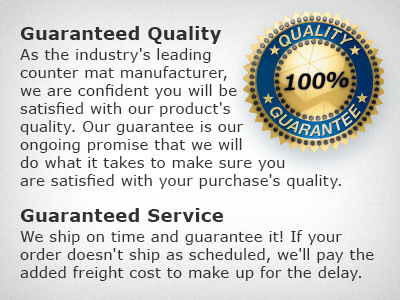 Digispec® has been in business for over 25 years and won numerous awards for its dedication to the making of mouse pads including the 2008 ASI Distributors' Choice Award, several PPAI Supplier Award of Merit and Supplier Achievement Awards. Recently Digispec® created two new divisions to allow Digispec® to remain focused on mouse pads. The first division, CounterPoint®, was established in May 2001 to concentrate on Point-of-Purchase products. The most recent spin off, Visstun®, launched in June 2007 is dedicated to producing Hi-Definition, 4-Color Process custom cups.